The CARICOM Science, Technology and Innovation Committee (CSTIC), a team for which Prime Minister Dr the Rt Hon. 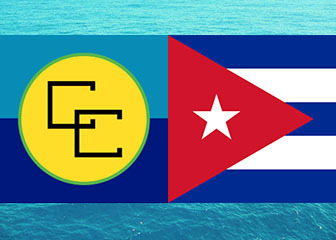 Keith Mitchell has responsibility under CARICOM, will visit Cuba from 14–17 September 2015 to explore collaboration and cooperation in the field of Science and Technology (S&T). This is an initiative of the Rt Hon. Dr Keith Mitchell, Prime Minster of Grenada and Prime Minster responsible for S&T in CARICOM, who made the announcement at a High-Level Meeting, which the Hon. Prime Minster hosted in March 2015. Professor Emeritus Harold Ramkissoon, Chair of CARISCIENCE, will head the delegation. The other members of the delegation include Professors Indar Ramnarine, Dean, Faculty of Science and Technology at the St Augustine Campus, Ishenkumba Kahwa, Deputy Principal, at the Mona Campus UWI, Drs. Basil Burke, a former UWI Consultant, Francis Asiedu of the Caribbean Agricultural Research and Development Institute (CARDI) and Marcia Roye from the Mona Campus, Jamaica. This visit has been facilitated by His Excellency, Guillermo Vazquez Moreno, the Cuban Ambassador to the Republic of Trinidad and Tobago. The delegation is expected to, inter alia, have meetings with the officials of the Ministry of Science and Technology and Innovation, the Ministry of Agriculture and the Cuban Academy of Sciences,C and visit international well-known science centres, such as the Centre for Genetic Engineering and Biotechnology and the Centre for Molecular Immunology. Professor Ramkissoon is a Foreign Member of the Cuban Academy of Science and the recipient of the Key to the City of Havana for his contribution to the development of Science and Technology in the wider Caribbean.